Paige's Page: Pets are Coming Soon to the Test Realm! 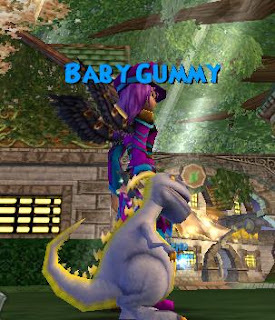 Pets are Coming Soon to the Test Realm! New pet system is arriving to test! Now how great is that, if you saw the video like I did, I was amazed on how much the pets will be able to do. I have been saving all my pets and buying any I could find. I heard we can either buy or craft food for them :) oh boy time to open up my next housing ideal "Paige's Pet Paradise" makes me wonder if they will be counted as items for housing? We will soon find out all we need to know, Test is about to open!!! YAY this is one happy wizard.
" below was taken right from the wizard101 web site"
This is Pet Month in the Spiral! When you've reached level 7 and defeated Sgt. Skullsplitter, you can enter the Pet Pavilion on the Commons. There you will find lots of free activities for you and your pet. Speak to Merle Ambrose for more instructions! 1. Set your pets free to roam your Castles & Lands. 2. Get your pets some exercise in the Derby. 3. Buy or craft them treats to make them happy. 4. Let them have some fun in the Mini-Games. 5. Create new pets with the magic of Hatching. 6. Watch as your pets cast their own spells in battle. Pets are let loose in test realm! Celestia "maybe a clue maybe not"